COVER REVEAL – Beyond These Walls! The other day, I was having an email chat with my editor at Grand Central, and we were discussing cover styles for my upcoming novels. I flat out admitted that I’m a total cover snob. Yes, I’ll admit…if you are an author and have books out there, I’ve probably looked at your covers and judged them. I know, I know…never judge a book by its cover, but come on—look at how pretty it is?!! I’ve always been very picky when it came to who and what were on my covers. After an initial rocky start into the cover world, working with inexperienced graphic designers and stock art that had made its way around the block and then some, I’ve learned a thing or two when it comes to a classy cover. The most important thing–surround yourself with amazing people. And that is what I do. Constantly. I am blessed to work with two wonderful women on all of my covers and each and every time, they manage to wow me. Kelsey Keeton–Thank you for continuing to bring my characters to life through photography. You never fail to impress me with your unfailing talent and class. And thank you for supplying me with a never-ending supply of pretty people–especially Grant Lorscheider and Elizabeth Katherine who so effortlessly brought Jude and Lailah to life on this cover. As some of you know, I never planned on writing a followup after Within These Walls. It was a standalone, which means it was done. But then my inbox became flooded with emails and messages from readers begging, asking and offering a wide range of favors if I’d continue Jude and Lailah’s story. I was adamant at first. But then, this tiny idea formed in my head. And then it was all over…You hooked me. So, here it is. The continuation of Jude and Lailah’s story. But a warning…be careful what you wish for. This won’t all rainbows and sunshine. Even the best of roads have a few bumps. Kelsey, my photographer has hooked me up with some beautiful models over the past seven books, and I can’t say she has the easiest of jobs–I can be a little picky. Lailah was easy though. I’d had Elizabeth pegged the moment the book formed in my mind and I was so glad she agreed to pose for it. I’m glad it hadn’t because she turned out to be my perfect Lailah and I’m so honored to have her back again for Beyond These Walls. Lizzie–thank you for bringing Lailah’s ethereal beauty to life. You make this cover. Comments Off on COVER REVEAL – Beyond These Walls! February marks two years exactly. Two years since I got this crazy idea in my head about a lonely widow and the letter she refuses to read from her dead husband. Two years since I secretly sat down and finally began writing down the words that refused sit dormant any longer. I never expected anything from that tiny moment, when I my fingers hit the keys and I dove into the world of Clare and Logan. I never expected anything extraordinary to ever happen to little old me. But it did. So many wonderful, remarkable things. Including this: I’m so excited to announce I’ve signed a two-book deal with Grand Central (Forever) for a new duet! The first book is entitled FORGETTING AUGUST and revolves around Everly Adams–a woman who, after moving on with her life, discovers the one one man who could destroy it has awoken from a two year long coma. I’m in love with this story, and I cannot wait to share it with you. Also, I’m so excited to announce some fun WITHIN THESE WALLS news! Jude and Lailah are going international! WTW will soon be translated into Italian and German! These are my first translations and I am so excited to see my words go global! I still find myself sitting here, looking at the original cover of WHEN YOU’RE READY, remembering that moment when I first typed the word “Prologue” and still can’t believe how much my life has changed since that moment. Thank you to everyone who has helped me, believed in me and supported me. I could say thank you a million times over and it would never be enough. 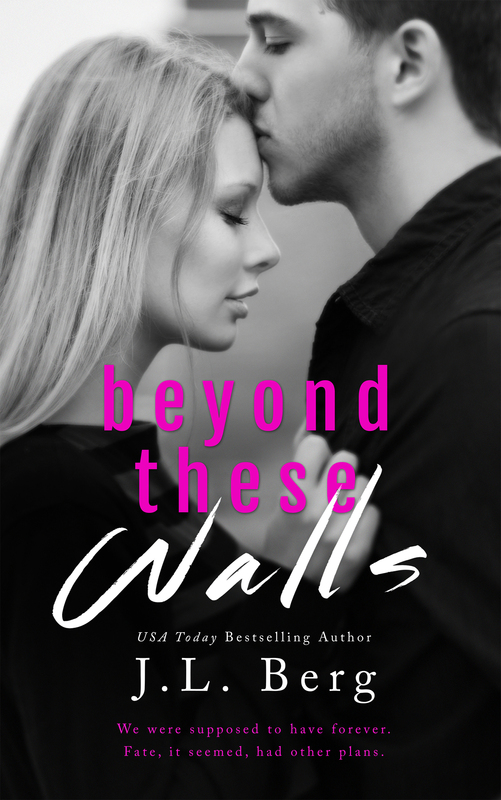 BEYOND THESE WALLS is on its way, so stay tuned for the cover reveal and teasers! I hope you are ready for more Lailah and Jude!! Comments Off on What the…What?! It’s the morning of Thanksgiving, and as I’m preparing to head over to my brother’s house this afternoon for a day of family fun, I wanted to take a moment to say how incredibly grateful I am for all of you. It’s been almost a year and a half since I published When You’re Ready and every day since, I am still constantly amazed by this wild journey I seem to find myself on. And it’s all because of you–my readers. Thank you for taking a chance on me. Thank you for sticking by me and believing in me. Your steadfast love in my characters and stories is more than I could have ever asked for. So, as I’m sitting around the dinner table this Thanksgiving day, I will be thinking of all of you and thanking my lucky stars I have all of you in my lives. Cover Reveal – Ready or Not!! 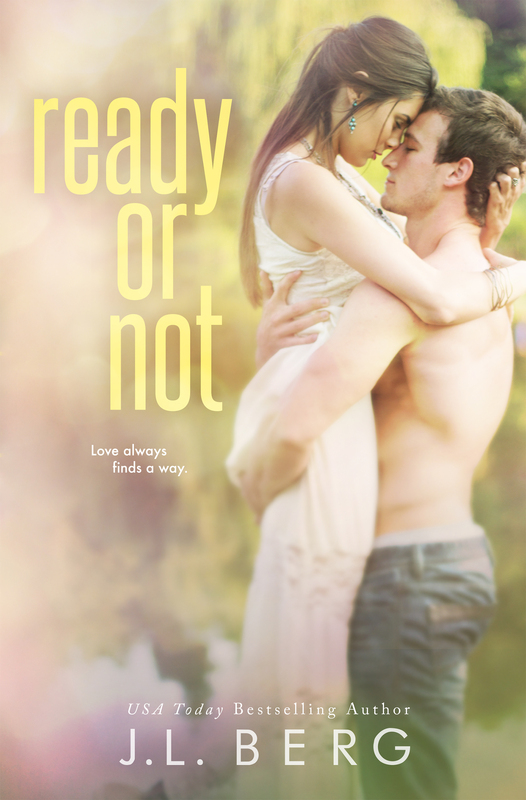 The Cover Reveal for Ready or Not! I’m so excited to share this gorgeous cover with everyone! I’ve had this baby in my eager little hands for over a month now, and I’ve been counting down the days until I could finally share it with you!! As always, a huge thanks to my amazing cover designer, Sarah Hansen from Okay Creations. She, along with my extremely talented photographer, Kelsey from K Keeton Designs are the reasons these covers are always beyond gorgeous. A special thanks to models Gabriela Marie and Dusty James. These two beautiful people did an outstanding job bringing Liv and Jackson to life. Comments Off on Cover Reveal – Ready or Not!! Last Monday, Lailah and Jude’s story went live, and since then I have been flooded with emails and messages from readers who have fallen in love with these characters just as much as I have. As readers are contacting me sharing their stories and love for WTW, the questions I hear over and over are: Are you going to write more and do we get a story about Roman. YES! I do plan on writing a follow up book entitled Beyond These Walls which will be a continuation of Jude and Lailah’s story. I had never planned on writing more after their epilogue, but in the last week or so this new plot line has solidified in my head and is speaking loudly so I feel it is something that needs to be shared. 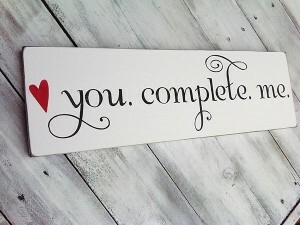 I will warn you, the next part of the journey for these two will not be easy–Love never is. On to Roman! I am also planning a spin-off on Roman. I don’t know if I’ve announced the title or not…His book, Behind Closed Door, will hopefully be coming out next summer and will be darker than the previous two in the series…because well, it’s Roman. So there is my little announcement. I also wanted to take a moment to thank each and every one of you who have purchased and devoured this book. It was a scary one for me. Stepping out of my series, doing something completely different–I had no idea how my readers would react and wow, I didn’t expect the warm and loving embrace I would find after I released my baby into your arms. Within These Walls is LIVE! Within These Walls is Live!! It’s finally here! My brand new standalone has been released to the world and available for purchase on all major platforms. If you haven’t yet checked out Within These Walls, you can read the synopsis, check out the prologue and even read the entire first chapter HERE. To purchase Within These Walls, check out the links below! Comments Off on Within These Walls is LIVE! Within These Walls – Read Chapter ONE!! Within These Walls – Chapter One!! With one week to go (EEP!) I thought I’d give readers a little something to make the wait a little bit easier (or maybe harder?) to handle. So, without further ado…here is the ENTIRE FIRST CHAPTER <— of Within These Walls! If you missed the release of the PROLOGUE…you can view it HERE! For iTunes and Kobo users, Pre-Orders are available! Comments Off on Within These Walls – Read Chapter ONE!! Within These Walls – Cover Reveal! I am so excited to share this upcoming novel with my readers. After four, wow….four books in the Ready series, I decided to take a little break and see where my writing might take me. I ended up back in a hospital. Figuratively, of course. Within These Walls is a standalone. It is an emotional story of two lost souls finding each other in the most unlikely of places. It is my hope that you end up falling in love with Lailah and Jude as much as I have. Comments Off on Within These Walls…COVER REVEAL! It actually began changing many months before when I finally gathered up the courage to turn my idea of a lonely widow finding love again into something real. Sometimes finding the courage to do something new and scary is half the battle. 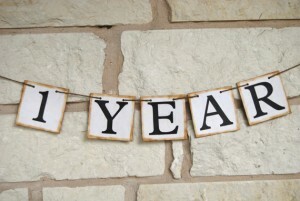 One year ago today, I hit publish (or maybe my husband did because I was too scared) and my life changed forever. Sitting here, reminiscing over the last twelve months, I am completely awestruck by how much has changed in my life from that one tiny event–the little flick of a button. When You’re Ready was suppose to publish on July 25th. Being a new antsy new author who had no idea how much time all this publishing nonsense took, I decided the night of the 23rd to go ahead and publish it early. I mean, who was waiting for it? No one. It could just sit around for a few days and then I’d announce it, right? 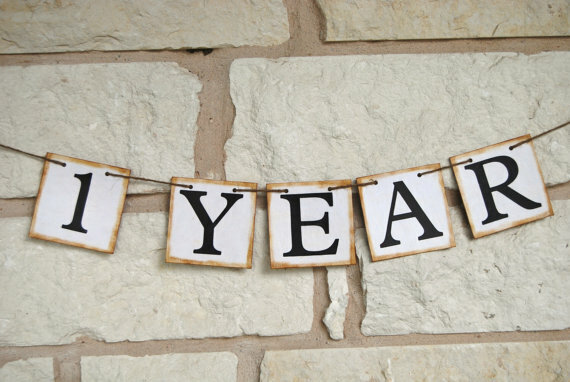 So, with much excitement and nervousness….my husband and I published my first book on Amazon and waited anxiously. Within an hour, it was live! For the record, no other book since then has ever gone live that quickly–go figure. I sat there, staring at my book on amazon.com and cried. There it was. I was a published author. I could have sold nothing that day and still have been amazed at everything I’d accomplished at that moment. But thankfully, it did sell. Since that quiet night one year ago, I’ve sold nearly 100,000 copies worldwide, published 4 books in the Ready series with a standalone set to release next month and made USA Today twice. I was able to quit my job and make writing my full time career. Meeting my kids at the bus stop and helping them with their homework is a rare and precious gift I never thought, as a working mom I’d ever have. I was invited to Book Bash in June and signed books next to some of my favorite authors like Jamie McGuire and Colleen Hoover. Because…none of this would have been possible without you. My amazing readers. Each of you managed to make my dreams come true just by being you–book lovers. You guys are my heroes. Hands down. Thank you for an amazing year. Here’s to many more. 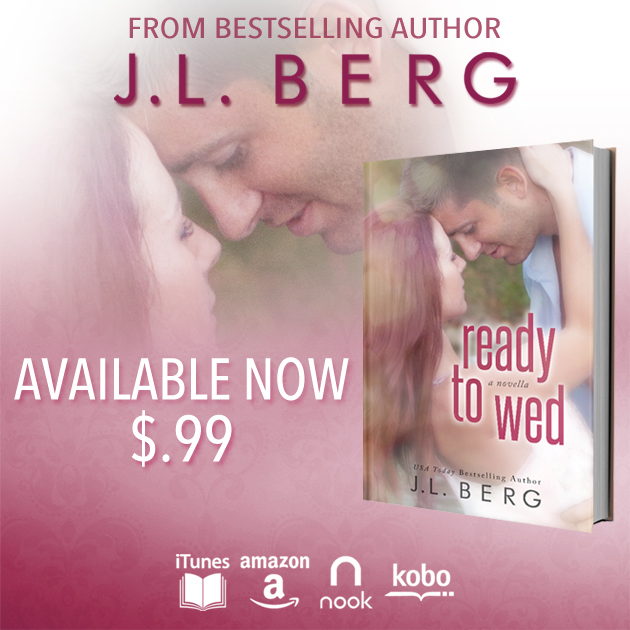 Ready to Wed is LIVE!! 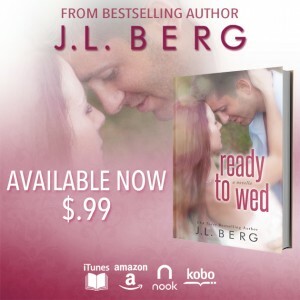 Ready to Wed is now LIVE on all platforms! Comments Off on Ready to Wed is LIVE! !